Jaded Blossom: Happy Birthday Panda! 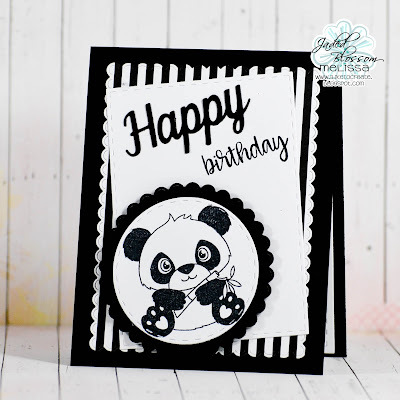 using the new Pandas are Awesome stamp set. I also used Scallop Rectangle Dies 1, Rectangle Dies 1, Scallop Circle Dies, Stitched Circle Dies, Word Dies, Card Mat Dies (on the inside), and So Many Birthdays 3. This card was made for my son's first party invite in Middle School. He was invited by a young lady. I feel like I am entering into a whole new realm of "I don't know if I like this!!!" LOL! I love this the black and white is awesome!! !